In the game, you live on a planet with other real players. Your goal is to go from having nothing to having enough technology to destroy a meteor. Through the player-run government and economy, you work together to build the technology to stop a meteor on a collision course with the planet, without polluting the world and killing it off in the process before that even happens. In 30 days, it will destroy everything — unless you work together to stop it. 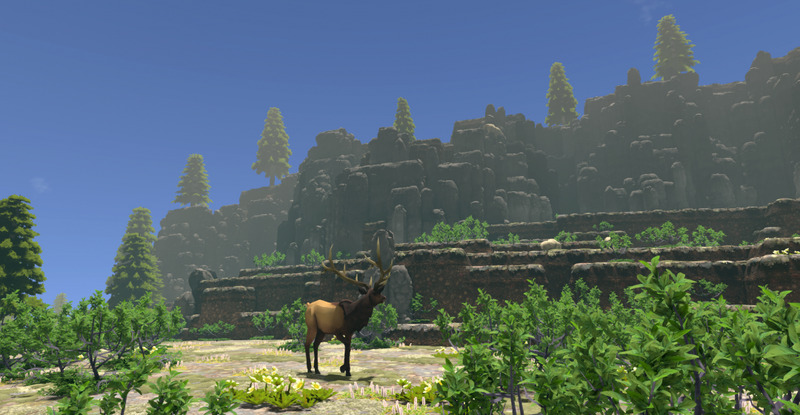 The game was chosen by Venture Beat PC Gaming Editor Jeff Grubb as “Game of the Year” in 2018. With the 8.0 release just around the corner, here’s an introduction to what Strange Loop Games team has been working on for the latest update to Eco. The 8.0 early access update to Eco changes a lot. The skills system is undergoing a massive re-work, and new content like Pipes are being added to add more depth to industry in Eco. 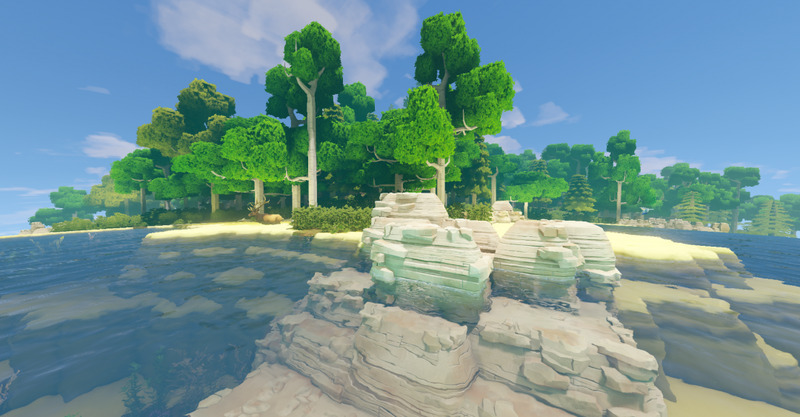 The primary focus of this update, however, is on the procedural world of Eco itself. 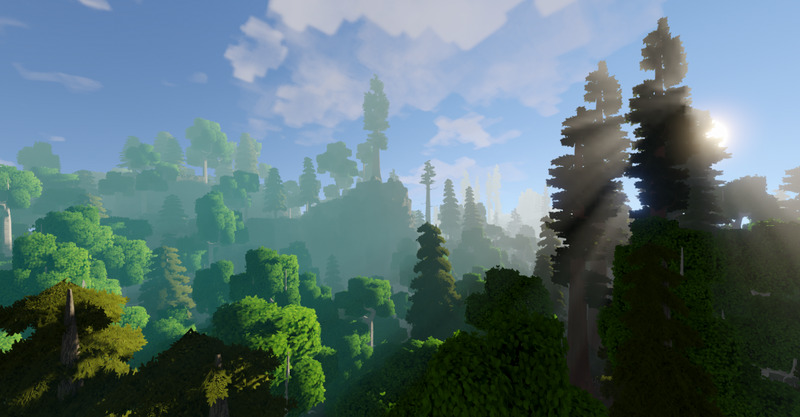 In Eco the natural world is separated into biomes, and developers have completely redone how these biomes are generated and structured when a new world is created. 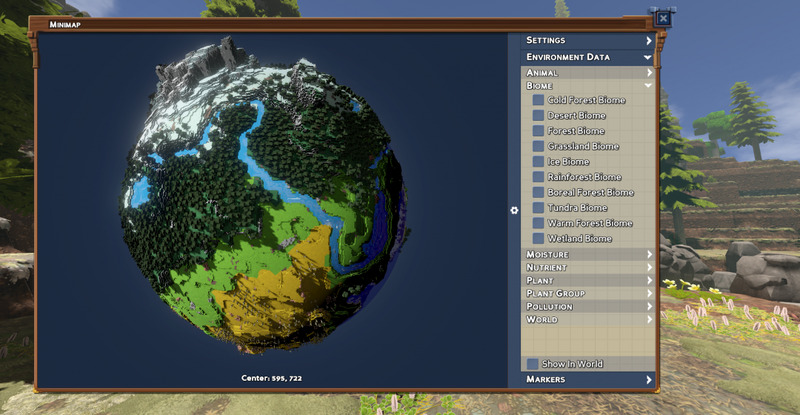 They needed to change world generation massively in order to increase control over the balance of biomes, species, and earth resources in each freshly produced world. This control is important because all the natural resources in Eco are meant to have a reliable place in the ecosystem, and provide a consistent set of decisions for players figuring out how to make the best use of those resources. Another big goal with biomes is to inspire players to care about their world more by making it a more compelling place, or home. 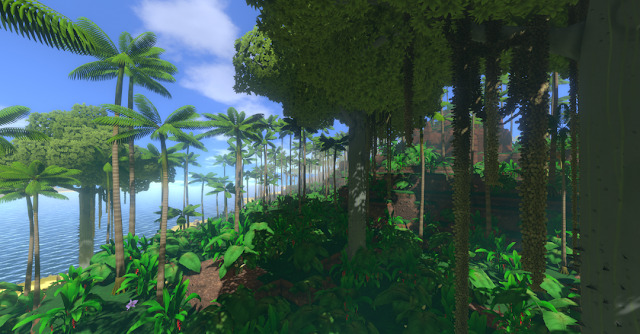 Developers wanted the biomes to reflect the diversity, interconnectedness, and richness of real biomes on Earth. To this end they are adding content to existing biomes and introducing an entirely new biome: tropical rainforests. They have also continued to update previous art and lighting to increase the overall standard of fidelity and richness they are discovering it is possible to have in Eco. 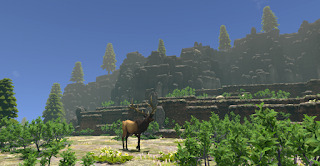 As Strange Loop Games continue developing biomes they will aim to create basic food webs unique to each biome in the ecosystem simulation. They intend to ensure that players are presented with a large variety of ways to use what the world has to offer, and ways to protect it from overuse. 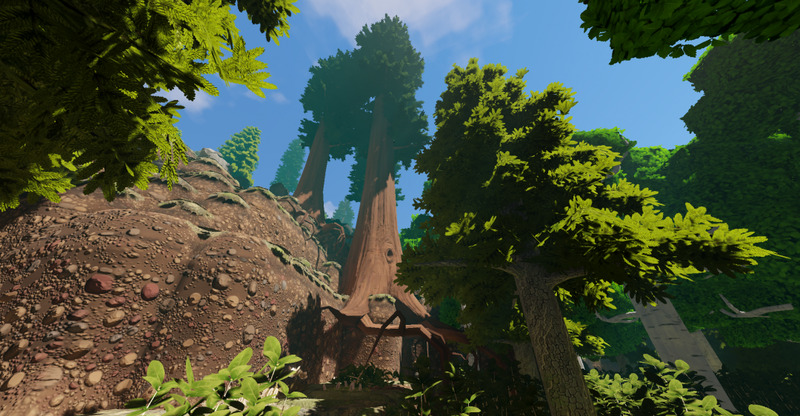 One of the more dramatic additions in 8.0 is the Redwood tree, inspired by the real life Coast Redwood species, Sequoia Sempervirens. Redwoods are trees you can harvest and grow, but in Eco there will also be a population of old growth redwoods in each newly generated world that are effectively non-renewable for the sake of the forestry industry. Once you cut them down, you cannot simply re-grow them like other trees. Old growth redwoods in Eco represent old growth forests in general-- an ecosystem which humans have the power and knowledge to conserve, but not really to recreate-- at least not on practical timescales or from scratch. In a default game of Eco, with the meteor looming, industrialization is an inevitability. Similar to other resources that are not renewable like ore and fossil fuels, the player must choose what to do with them, and those choices are not reversible. Unlike most earth resources however, the depletion or destruction of old growth forests is a much more immediate possibility. Earth resources and geology is the other big category of content and features Strange Loop Games is beginning to massively update in the 8.0 update. They have begun by splitting ‘stone’ up into actual rock types that each will be host to unique earth resources, or at least will be their own resource. 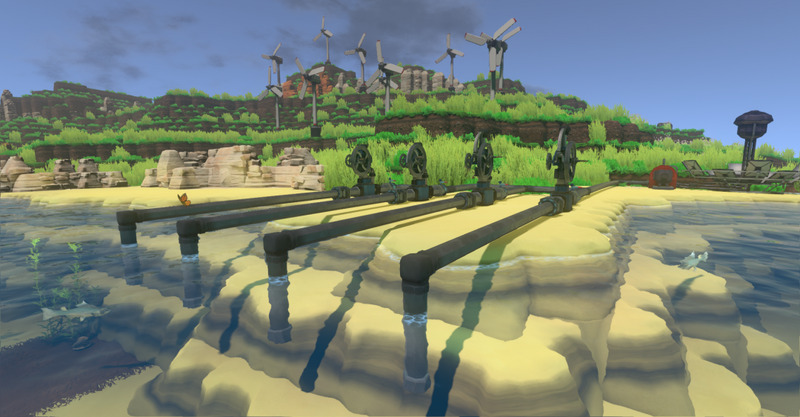 New to the game are the sedimentary rocks Limestone, Sandstone, and Shale, each of which will have unique applications in industry. Also new is Granite, host to small gold deposits and large copper deposits. Basalt is now the bedrock of all the oceans in Eco, and Gneiss will become is first metamorphic rock type. There is no simple way to correlate rock types with biomes in reality-- geology is often the history of radically different environments following each-other and creating new layers over the same bedrock-- so in Eco developers have to abstract and simplify things. Ultimately, having a rich variety of resources to locate in specific biomes will allow them to balance the game to ensure that players must create transport networks between different areas with different resources that they need. 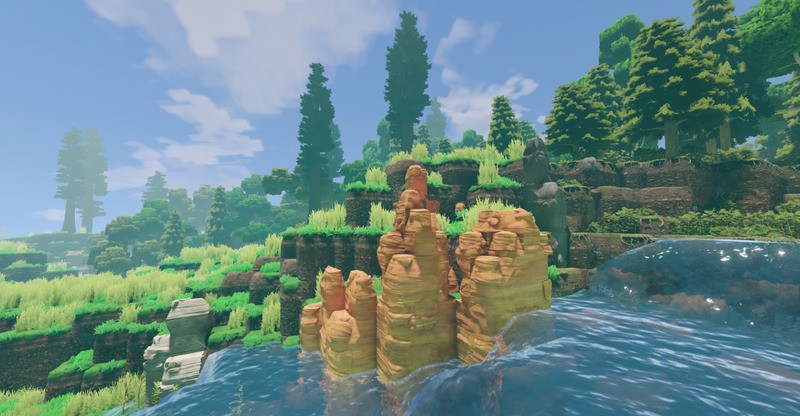 It will also greatly improve the character of biomes visually and spatially, as they add structure to how rock and resource blocks are generated. 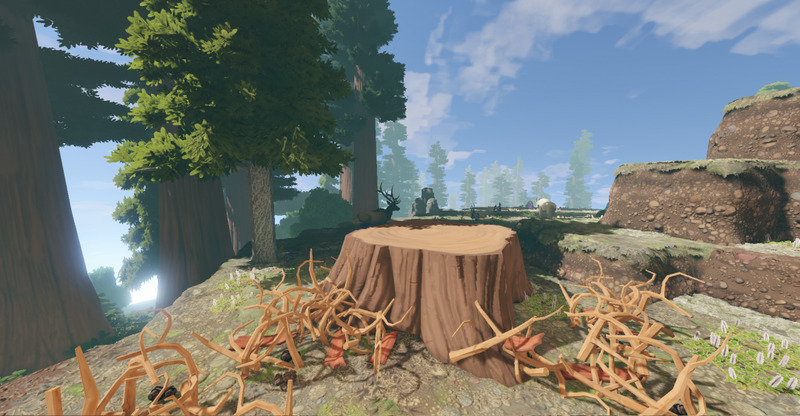 Strange Loop Games say they are excited to take strides with developing Eco’s natural world because it is both the context for ecology in the game, and the source of all materials for the player created economy. As they add content and depth, they hope it will increase the many ways in which players are tied to their world. 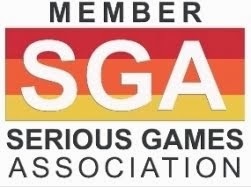 Based in Seattle, Strange Loop Games was founded by a group of developers from the console games industry (Electronic Arts) with the mission of expanding what is possible in gameplay using state of the art computing and consoles. They spent the first 3 years developing 'Vessel', self-funded. After getting industry attention, they were able to secure funding and bring the game to Steam and PlayStation 3. Following the release of Vessel, they were invited by Amplify Education to assist in creating their suite of educational games. 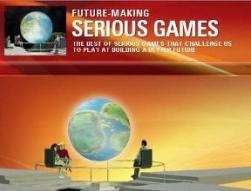 This opportunity presented them the ability to explore new principles in educational games, taking them in new directions with a lot of freedom, and they aimed to focus the studio on creating games that were for “more than just entertainment”, giving something of value to players while still matching the quality and fun of any game on Steam or the App Store. They created two games with Amplify: a cell biology exploration game called SimCell, and a multiplayer heist/level creation algebra game called Codebreakers. After creating successful titles for Amplify's game suite, they partnered with the University of Illinois to propose a game for grant funding to the department of Education, and with its acceptance their title Eco was born. John Krajewski is founder and CEO of Strange Loop Games. He is the designer of the ecology game Eco. His background is the console games industry. He was Lead AI Programmer at Electronic Arts Australia, designing and developing AI systems for open world games. His portfolio of games includes 'Lord of the Rings: Fellowship of the Ring', 'The Suffering', and 'Destroy All Humans'.